Back when it was first announced I made a couple of posts about Windows 7 XP Mode (available here and here). Now that I’ve been using almost every day for the past few months, I wanted to revisit the topic and write about my hands-on impressions. 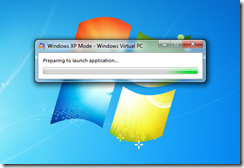 In this post I’ll show how applications that run under XP Mode integrate with the regular Windows 7 environment. And even show up when searching, which is extremely convenient. When you launch applications, Windows starts up the XP Mode virtual machine behind the scenes, showing a progress toolbar instead of XP’s boot up sequence. 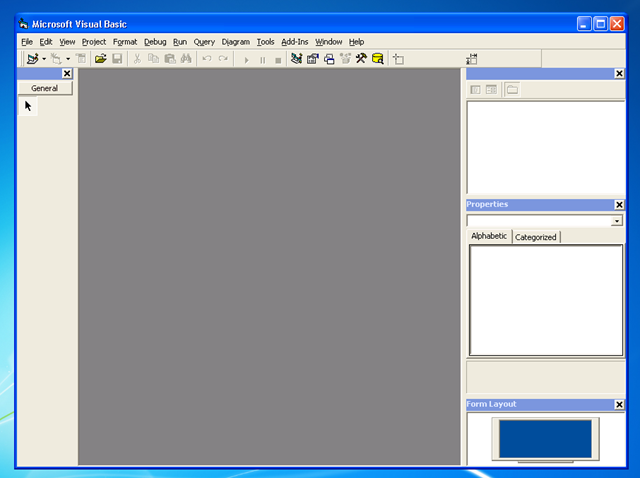 Visual Basic 6.0 on XP mode Open Project dialog showing the My Documents folder. 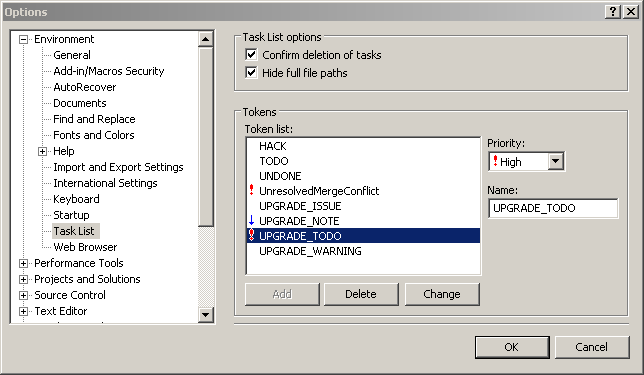 These integration features of XP Mode make life much easier for legacy applications, but it is far from perfect. In the next post I’ll mention the annoyances I’ve run into while working with XP Mode. If you are concerned about the VB6.0 runtime not being supported after Windows Server 2008 and Windows 7, this is a trick that can help you decide whether to keep a particular third party ActiveX component in your application through COM Interop after migrating to the .NET Framework or to start looking for a replacement in case the runtime is no longer available (and thus the component will no longer work). 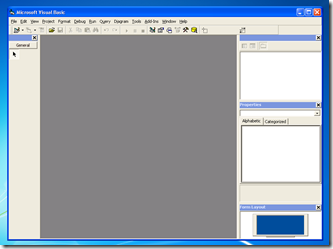 Dependency Walker is a freeware tool that was included with Visual Studio 6.0, is included in the Windows Support Tools and can be downloaded from the Dependency Walker homepage. 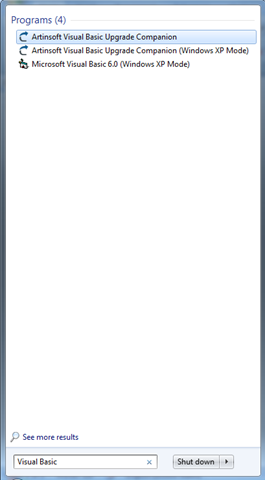 UPGRADE_NOTE: Notes are basically information messages. For example, if the VBUC detects dead code, it will comment it out and add an UPGRADE_NOTE comment to make sure the developer understand why it was removed. This can be added as Low priority, since they very rarely require manual intervention after the migration. UPGRADE_TODO: Partially upgraded code. These EWIs should be added as high priority, since they indicate the developer needs to perform some additional work to complete the migration. 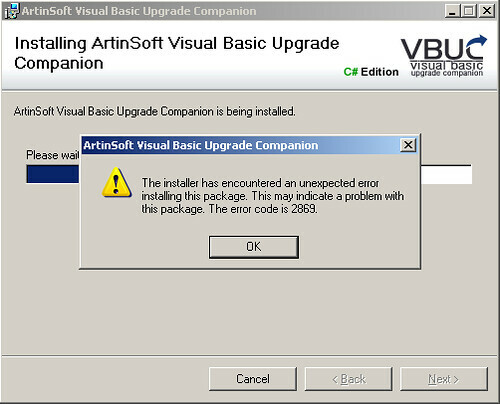 UPGRADE_WARNING: Warnings appear when there is a difference in behavior between the VB6 code and its .NET equivalent. The solution provided normally works, but there are some scenarios where additional manual intervention may be required (most likely from runtime errors). I normally add them to the Task List as Normal priority. 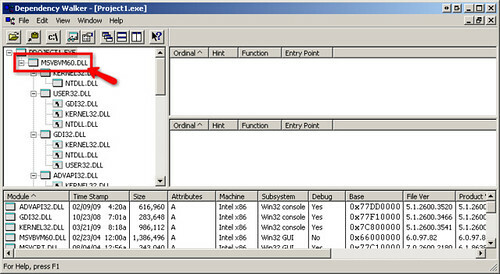 With this configuration, you can very easily and quickly browse through all the EWIs in a file, and determine which ones actually require you to perform some manual work, and which ones can be either removed because the line they are tagging will work, or if their verification will be deferred until functional testing takes place. You can read more about VBUC’s Errors, Warnings and Issues here, and about Visual Studio’s Task List at this link. First of all, not all CPUs would be able to use XP compatibility mode. Take a look at this page over at Tom’s Hardware, and the post over at Ed Bott’s blog. I think the image halfway down the page on the second link speaks for itself – you probably won’t be able to know if the deployment target for your application supports XP Mode or not, which can complicate the installation experience. The second bit of information I want to comment about is the fact that even though applications running under XP mode appear seamlessly alongside Windows 7 applications, they are still running on a virtual machine. From what I’ve seen the boundary is not noticeable to the end user - the application’s shortcuts appear in Windows 7’s start menu, the tray icons appear in Windows 7’s tray, etc. But apps in XP Mode run completely separate from their Win7 counterparts, and the VM itself needs to be patched with its own version of Windows Update, requires specific policies applied to it, etc. 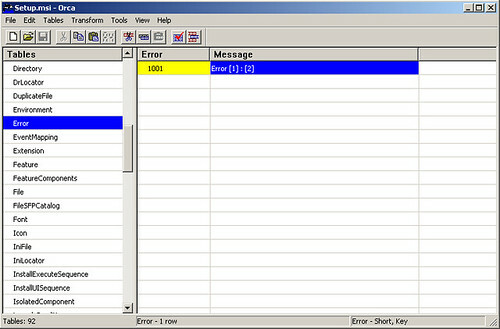 It goes without saying that all this adds overhead to managing these type of deployments, and may cause incompatibilities if an app requires interaction with other programs installed on the Windows 7 side (VB6 apps using Office’s COM API is a common example – will you require separate versions of Office, one in the XPVM, and another one on W7 for daily use?). Finally, XP Mode uses Terminal Services and something similar to the RemoteApp mechanism to display applications on the Windows 7 desktop (not sure how other VMMs such as Parallels’ Coherence manage it) . Even though the integration is almost seamless, there are a few quirks here and there that make for an inconsistent experience (drag and drop files, etc), and may affect the performance and L&F of the application. This post argues that the best solution would be to use Microsoft’s App-V technology to virtualize “XP and older” applications. I agree that would be an ideal solution. But maybe there is a reason why it works like it does – so that you won’t get too comfortable. XPM, IMHO, should be considered as an intermediate step towards moving your legacy apps to the latest technologies. 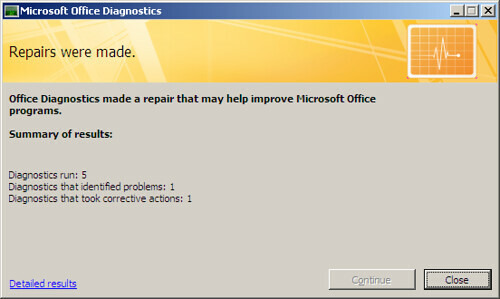 FYI, I am using MS Office 2003 and Windows SharePoint Services 3.0. As a Visual Basic 6.0 developer you may want to become yourself familiar with the .NET platform before putting it into production (and making the corresponding investments). In this blog post I wanted to give some pointers to commonly used resources that can help you in that regard. To run one of the latest Microsoft operating systems you can take advantage of the VHD Test Drive program that I blogged about some time ago. 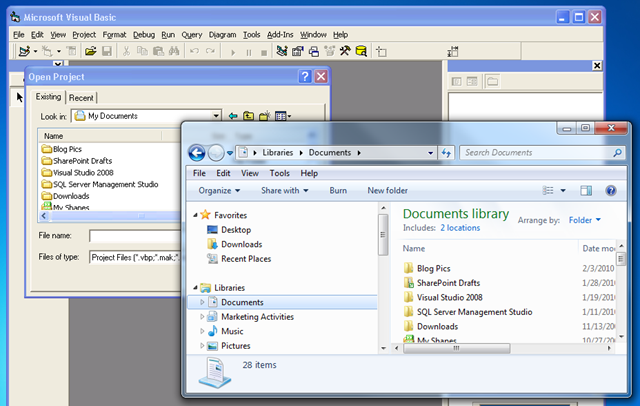 Through this program you have access to a large number of OS configurations that you can try out for a limited time. The ones I would recommend to get started are the Windows Vista 30-Day Eval VHD, the Windows Server 2008 Evaluation, and the Microsoft Windows Server 2003 R2 Enterprise Edition VHD. Remember you need either Virtual PC, Virtual Server or Hyper-V in order to run the virtual machines. 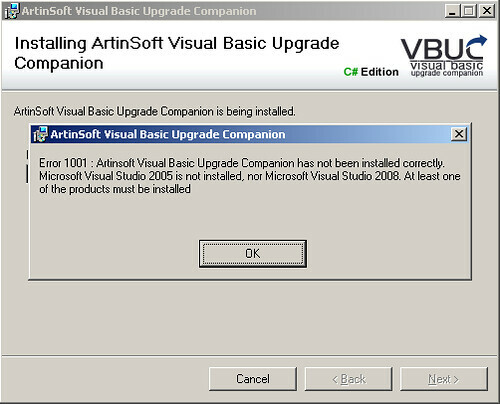 You’ll also need to install Visual Studio 2008, and for this you can either install the Express Editions (which have some limitations, but are free), or a 90-day trial version of Visual Studio 2008 Professional Edition or Visual Studio Team System 2008 Team Suite. 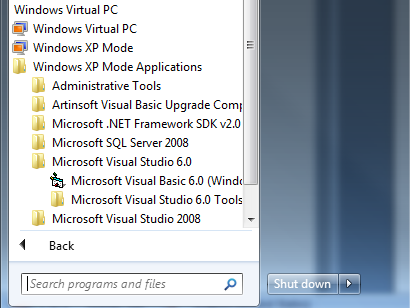 Another alternative is to download a full virtual machine with Visual Studio Team System 2008 Team Foundation Server installed. Also, to get familiar with specific .NET features, you can take advantage of the free e-book offer and the additional content currently up at Microsoft Visual Studio 2008 Learning Portal. Microsoft's Patterns & Practices group released last week a new version of the Application Architecture Guide. This book provides you with the best practices in the design of .NET applications. I recommend you read this when planning the evolution of your migrated applications after you reach functional equivalence in the .NET Framework. First, you need to have ORCA installed on your system. ORCA is available as part of the Windows SDK. 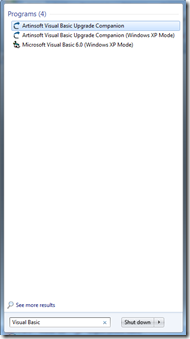 As you can see, in this case at least, the error was caused by not having one of the requirements, Visual Studio (2005 or 2008) installed. This only applies to the current version of the VBUC, as the next version will have these issues with the error messages solved. I still wanted to put this out there, as I got some feedback on it last week. In some migration projects you have to take an incremental approach. You just can't disappear with an application for a few months, and then come back with the application in the target language. Because of this, when we do migration projects, we try to divide the project in smaller milestones, so that developers can continue working on a certain module of the application, while another group migrates a different module. 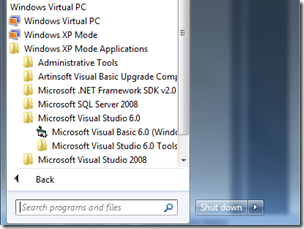 It turns out that is you are migrating from Visual Basic 6.0 to the .NET Framework (using either Visual Basic.NET or C#), you can do even smaller steps. 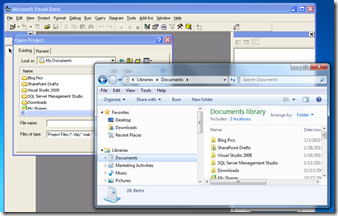 Microsoft offers the Microsoft Interop Forms Toolkit, a set of tools that you can use to run .NET forms and controls in VB6 applications. This Toolkit allows you to create an even less disruptive migration strategy, by creating an incremental upgrade process in which you can start out by moving some controls first, then some forms, and, before you know it, you'll have your applications running completely in .NET. "Terminal server has exceeded maximum number of allowed connection"
You then stare at your monitor in frustration for a few seconds. After that, you figure out who the culprit is and ask him politely to "PLEASE LOG OFF". Credit goes to Scott Forsyth's WebLog.